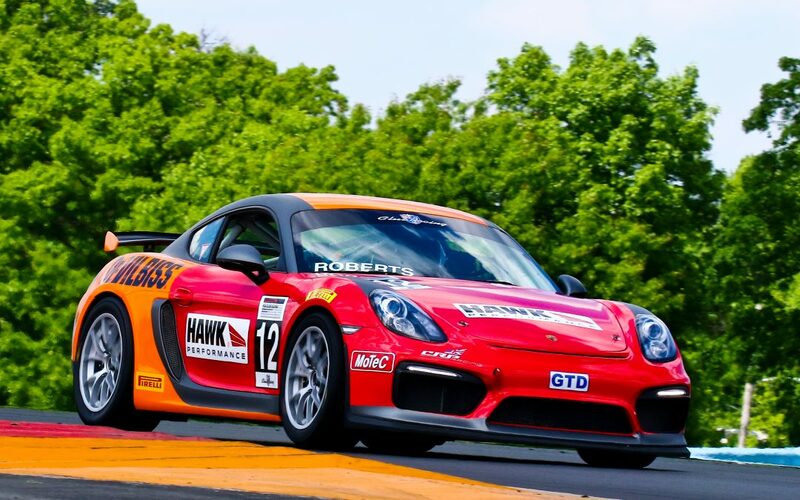 Charlotte, NC (May 17, 2018)—Mike Skeen, the 2014 Pikes Peak Rookie of the Year and winner of the Pikes Peak Open Class, will return to America’s Mountain in 2018 at the wheel of the #21 DeVilbiss/Hawk Performance/Zenith Aviation Porsche GT4 Clubsport. While not competing for overall honors, Skeen will participate in the new-for-2018 Porsche Cayman GT4 Clubsport Pikes Peak Hill Climb Trophy by Yokohama category that promises to offer tight competition with similarly specified Porsche Cayman race cars. The class will consist of eight entries featuring several IMSA series drivers and extreme sports regular, Travis Pastrana.